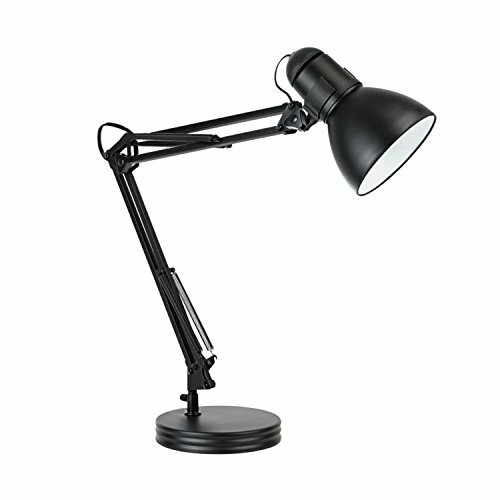 Globe Electric's 35" Heavy Base Architect Spring Balanced Swing Arm Desk Lamp is an ideal option for desk lighting. The spring loaded swing arm is easily adjustable, stretching to 35" at its tallest, to direct light wherever you need it the most. The long cord allows you the ability to place the light anywhere you want regardless of where your wall socket is located. The large rotary on/off switch is conveniently located at the top of the lamp shade for quick and easy use. Requires one 60W A19 E26 base bulb (sold separately).